My son really enjoyed his time in playgroup and the variety of activities he was able to do during his days there. The staff are so approachable, professional and friendly, I never had any concerns about leaving my son in their capable care. The playgroup its self is bright and so well set out, with an array of toys and books to help the children's development. The teachers so patient with the children, giving each of them the individual care they need. Liz is wonderfully organised and dedicated, and easy to discuss any concerns with. My child was shy when he first joined playgroup and it was a pleasure to see him joining in the songs with such enthusiasm very quickly. I thoroughly recommend the playgroup to all parents looking into preschools for their children. We couldn’t be happier with Bengeo Playgroup. It is an outstanding facility. My husband and I think it’s a fantastic setting with amazing staff and facilities. I have had my children in private nurseries before they started at Playgroup and there is absolutely no comparison in quality of teaching, care and staff. The Playgroup is an amazing addition to the community and a brilliant way for our children to get exposure to “big school” in a safe environment. You and your team are brilliant at keeping parents informed. We have a weekly email informing us of the topic that the children will be covering that week. Facebook is always updated with photos of the activities the children will be doing and photos (without showing faces) of the children engaging in activities. There is always a member of staff around at drop off and collection to sign the children in/out and to discuss any issues with. I find this system works really well compared to when my children have been in a private nursery setting when a member of staff is trying to complete the admin around child collection but they are also dealing with looking after the children as well so they are easily distracted. The staff at Bengeo Playgroup are amazing. They are extremely welcoming and friendly and make so much effort with all the children. Whenever I drop my son at Playgroup all the staff make a big effort to say hello, refer to him by name and they take him for a cuddle or engage him in play straight away. The staff are all extremely approachable. My son talks about the staff at home with a great deal of affection and I feel very happy knowing that he is in a very warm, happy environment when I am at work. He has a great relationship with his key worker (Mrs Goldie) and I feel completely comfortable that he is very well looked after. My son has learnt a huge amount since being at Playgroup. He signs really well using the Makaton sign language which is really helpful when he is still learning language as it avoids frustration. He always comes home with amazing pieces of art (e.g. muddy tractors, firework pictures, scarecrows etc) that we display at home and then he still talks about it for weeks afterwards so I know he was actively engaged in whatever they were doing. My son talks about the activities that he has been involved in and I know they spend a lot of time outside doing all different activities including bike riding, drawing etc. When my son first started at Playgroup he had a dairy allergy (which he has now outgrown). I had complete faith that the Playgroup team would do their utmost to ensure that he wasn’t exposed to any dairy whilst he was there. There was a lot of time taken to understand his allergy, symptoms and what he could/couldn’t have. I am also aware that the Playgroup staff regularly ensure that parents know that it is a nut free environment. My son also suffers from asthma and reflux and the staff have been fantastic about ensuring they keep him safe and well at Playgroup. Overall, my husband and I couldn’t recommend Playgroup enough. Thank you Liz and your team for all your hard work. I cannot speak highly enough of Bengeo Playgroup and the team that work there. Each and every one of them is friendly, efficient, kind, caring and, from my experience (which includes a private nursery setting, playgroup, school nursery and mainstream school) go above and beyond what most settings offer. The communication the parents receive is excellent - regular, informative and detailed - and each week my husband and I look forward to receiving the 'what's on this week' emails each Sunday and looking at the photos on Facebook which are plentiful and give us at home an insight into playgroup life. What's more, whenever I've had a concern Liz is super quick to respond to emails or to set aside time to chat with me in person. Every team member is approachable and I couldn't feel more confident and reassured that my son is in the best possible care. I cannot quite put into words how lovely that is! In particular, they have also been really supportive in trying to help my son with his fussy lunchtime eating habits and provide regular updates and feedback daily. They are never too busy to give you some time. Liz was also very accommodating in allowing my son to stay for an extra afternoon the day we moved house - despite us giving her only an hour's notice! It really helped us out. 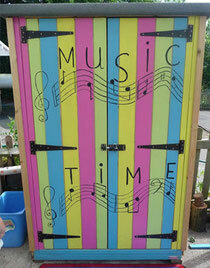 The resources in playgroup seem plentiful and cater for every child's tastes. My son especially loves the diggers, the sandpit and the bikes but I love that he has so much to choose from. What's more, the themes each week are thoroughly thought through, fun and educational at the same time and incredibly varied. No wonder he runs in every day with a big smile on his face! He loves it there! Last week he was especially happy to have got to go on a little walk to the pelican crossing and to meet the local lollipop lady! What a lovely activity! Liz runs the playgroup exceptionally well and my husband and I feel confident and grateful that our child is safe, happy and so well cared for in such a brilliant learning environment that in our opinion is second to none! We actually feel very lucky to have such a fabulous setting so nearby! The emergency adhoc sessions the Playgroup offers have been a life saver for me on many occasions. I have been known to email Liz the evening before and before I know it, I have a response! Our son began attending Bengeo playgroup in September 2016 and we have been consistently impressed by the quality of care he receives there. We are kept up to date with regular communication through weekly emails about themes and topics covered in lessons, facebook group posts and verbally from the dedicated team of staff at pick up and drop off. The teaching and learning at playgroup is excellent, my child is frequently coming home and sharing new things he has learnt. We are particularly pleased with the way his communication skills have developed during his time at playgroup - his expressive language has really come along and he is very engaged in the signing they have been working on in lessons. He is stimulated and engaged in the learning taking place and really enjoys playgroup. There is a lovely atmosphere there, he has made good friends and has very positive relationships with staff - when he had to be kept off ill recently he was really sad because he wanted to go in. The most important thing is that we feel confident that the best possible care is taken of our son, he is safe, happy and learning at playgroup thanks to the hard work and good practice of Liz and all her team. Bengeo playgroup is simply the best childcare setting I have experienced. It is so hard to put into words how happy my daughter and myself have been with Bengeo playgroup. The staff are so caring and treat all the children amazingly. My daughter still misses playgroup and her playgroup teachers, she was so incredibly happy here. The quality of care and learning is second to none and the communication with parents is simply impeccable. We would receive an email every single weekend telling us in detail what our children would be doing each week. We would be directed to the facebook page to see wonderful photos of the hard work that goes into every single weekend, changing playgroup around to keep up with the changing topics stimulating our children's learning and development. I simply couldn't hope for my child to be better cared for or to receive a more comprehensive imaginative catalogue of learning at this young age. 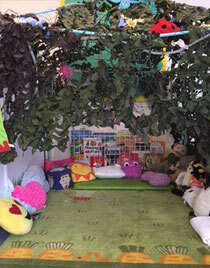 A simply outstanding childcare setting, putting parents minds at ease, thank you! I can't express more how happy we have been with Bengeo Playgroup. The level of care has been incredible. To feel like you are handing your child over to staff who would give the same level of care that you would as a parent brings comfort that is in- measurable. We are well informed of the daily activities and forthcoming plans. that our views would be taken seriously. The range of activities is vast and suited to all the children and all their different preferences. The way there are different themes is great fun and the children are encouraged to use their imaginations which is fabulous and has help my boys develop so much. I couldn't think of a safer or happier place to send my children. My daughter has taken time to settle in but she always leaves saying how much she likes it and what she’s done that day. Liz and the team have gone out of their way to help my daughter settle and enjoy her time there. All the ladies do a fabulous job and we couldn’t be happier to send our daughter there. I am so pleased with Bengeo Playgroup. All the staff are so friendly and welcoming and my child is so happy when she goes there. She always leaves smiling and tells me how much fun she's had. She has learnt so much in the short time she has been there so far. The teaching is great, so much time and planning goes into it, I enjoy receiving the weekly email to see what the theme is for the week and the activities the children will be doing. If I ever have any questions, there is always someone to ask, all the staff are so approachable and helpful. There are so many activities for the children to do-role play, arts and crafts, singing, stories. It is so varied which is great. The staff are very focused and dedicated on the children and this really shows when I drop my daughter off and pick her up. We are greeted with smiles, happy faces and feel so welcomed. Bengeo Playgroup is a safe and secure environment with friendly staff and children who love being there. This clearly shows in everything they do and how they conduct their teaching. We just can’t recommend Bengeo Playgroup enough. Our two girls thrived at Playgroup. The staff are nurturing and attentive, the activities are always inspiring, I often wonder how they come up with such varied educational ideas, it’s clear they put a huge amount of time into preparing them and the themes for the room. It is such a wrench to leave little ones for long days while you work but it is made so much easier knowing they are happy and safe. We couldn’t be happier with Bengeo Playgroup, they really are the best of their kind you could ever hope to find. My son has been attending the playgroup since September and I am so pleased with how he has settled in and how the playgroup is run. All the staff are friendly, professional and approachable and he has a lovely key worker who he gets in very well with. I am always informed with his progress or if they have any concerns. In fact I often can't believe the amount of work and effort that is put in. There are great toys and equipment in the room and outside and I love the role play areas, for example now there is a santas groto at the moment! Great for children's learning. Overall I would thoroughly recommend the playgroup to any parents I know. It's amazing! My child began attending the playgroup in the Autumn of 2015 having previously attended Duncombe school's "Tree Tops" early years. My daughter settled instantly into the setting along with the talented and caring staff that Liz has carefully selected. As a result of this my child now runs into the setting when she arrives in the morning testament to the fun and varied activities that are organised for the children. I would also like to take this opportunity to explain the additional support that my daughter has had from Liz and her team over the past two years. My daughter was found to have "Glue Ear" in March 2015, meaning that her speech and language is below the standards expected of a child of her age. With this in mind Liz has worked closely with both ourselves and specialists to help her make up some of the lost ground in this particular area. The time and energy Liz and her team have sacrificed has had a profound impact on my daughter and I cannot thank them enough. They really have made a difference. In my opinion Bengeo Play Group gives the children who attend a solid grounding in essential social skills that prepares children well for full time education. The team that Liz has assembled is quite frankly exceptional, both myself and my child could not recommend them enough. My son joined Bengeo Playgroup in September and has settled in fantastically well; he can't wait to go in each day! The staff have been fabulous at helping him settle and have been great at keeping us in the loop with the activities he does. We love receiving the email newsletter every Sunday telling us what he'll be doing each week, it means we're able to talk to him about what he's been doing each day. The staff are super friendly and so helpful, particularly in their flexibility of taking my son at short notice when I've had to take his baby brother to the doctors. The photos the playgroup post on Facebook are lovely, it's so nice to see the fun he is going to have. Resources really are good and the staff go above and beyond every day to ensure my son gets the best experiences from his time at playgroup. 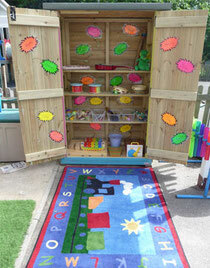 Bengeo playgroup offers a warm, caring, friendly environment which is at the same time highly professional. Liz and the team put so much effort into the children to ensure they feel safe and loved. The activities are always creative, well thought out and always fun! I would highly recommend bengeo playgroup to any of my friends with young children.